What was Ben-Yehuda's plan for reviving Hebrew as a language? Encourage the speaking of Hebrew in each home. Establish a newspaper and work through it to report the news in Hebrew, creating new words as needed. Do everything possible to introduce the teaching and speaking of Hebrew into the schools. 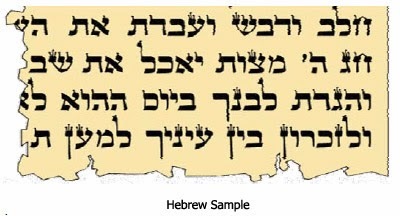 Produce a dictionary of the Hebrew language to aid in its daily utilization. Ben-Yehuda began the implementation of his plan by starting with his own home. He laid down the rule that no language could be spoken within his house except Hebrew. He wanted his family to be a model for others. And thus, when D'vorah became pregnant, he announced that the baby she was carrying would become the first true Hebrew child in 2,000 years because it would be allowed to hear only biblical Hebrew.38 That meant no playmates, and it meant almost total isolation at home. Their friends were aghast over such fanaticism. They pleaded with Ben-Yehuda to change his mind, arguing that the child would grow up either as a mute or an idiot.39 But Ben-Yehuda would not budge. In 1882 D'vorah gave birth to this first child, a boy who was named Ben-Zion Ben-Yehuda, meaning Son of Zion and Son of Judea.40 And just as Ben-Yehuda had promised, the son was kept isolated from the world so that he would not become "contaminated" by hearing any foreign language. Ben-Yehuda launched the publication of a newspaper shortly after his arrival in Jerusalem, not only because it was part of his master plan, but also because he needed the income to survive. The general population in Jerusalem liked the paper. They had never seen anything like it in the Hebrew language. The settlers in the agricultural villages scattered across Palestine loved it. But the Orthodox were determined to destroy it and tried to do so on several occasions. Visit the Lamb & Lion Ministries' website for a list of references. In the sixth segment on the amazing prophetic fulfillment of the return of the Hebrew language, we'll look at a the opposition and support for Ben-Yehuda's mission.